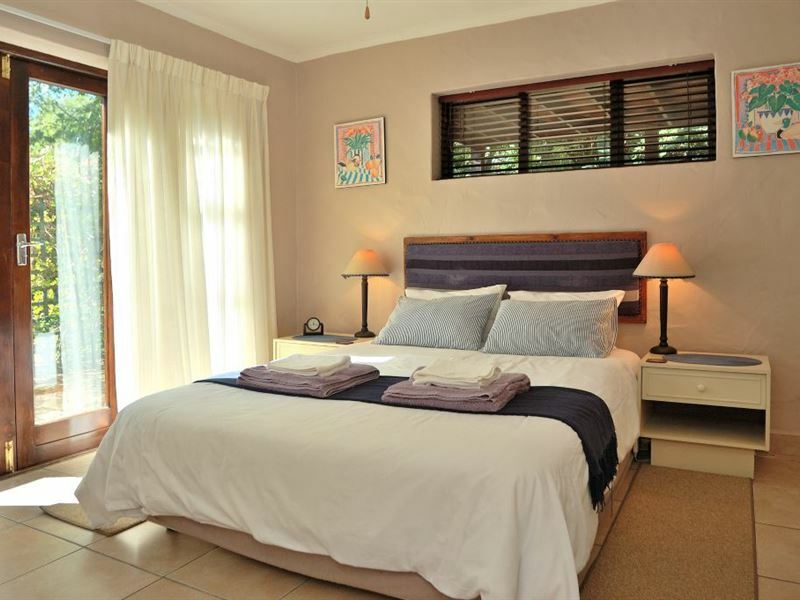 Syringa Tree Cottage is a very private two-tiered, spacious cottage set in the trees in the older part of Knysna. 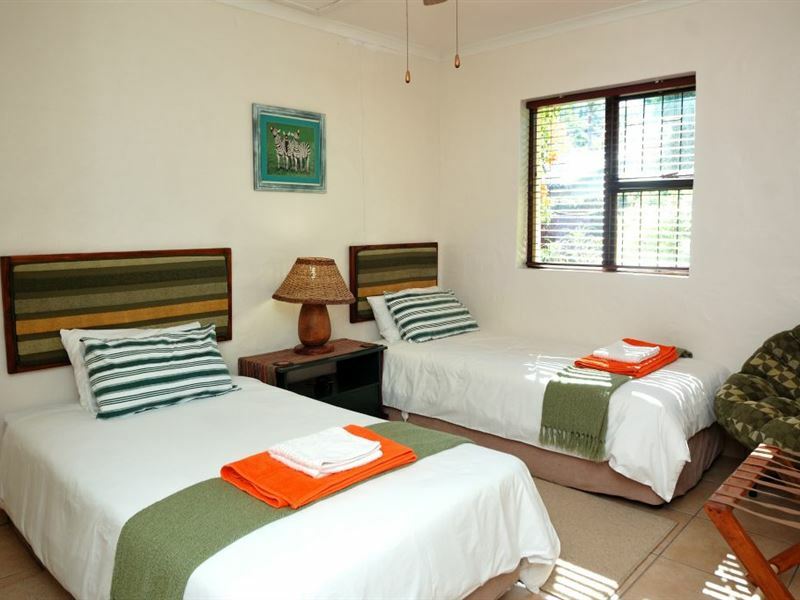 The two-bedroom unit comprises an open-plan kitchen and lounge area upstairs leading onto a lovely deck surrounded by trees.The main bedroom features, a queen-size bed, plenty of cupboard space and also opens onto a patio with double doors. The second bedroom offers one three-quarter and one single bed, with its own door leading outside. There are heating panels in all rooms and electric blankets on all the beds.The kitchen is fully equipped for self-catering, with a full stove and hob, microwave, and all the necessary crockery and cutlery for up to four people. 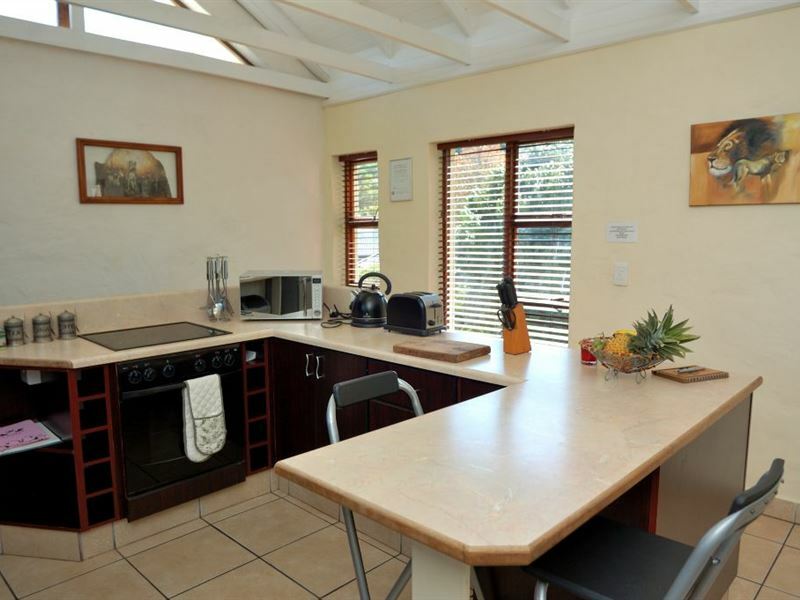 A kettle barbecue that can be used on the deck or taken downstairs onto the patio is also provided, and DStv and wifi is included The cottage is conveniently located close to town, several golf courses and everything the Garden Route has to offer. Allan was very welcoming. The cottage is cute and cosy. I would definitely recommend it. The veranda is surrounded by gorgeous trees. Loved it! Very well equipped apartment in a tranquil setting. The hosts are friendly and approachable. A great base from which to explore Knysna and surrounds. The house is very beautiful and the owner is very friendly and helpful. Many thanks to host Alan and his wife. We really appreciate your kindness and hospitality. We enjoyed our stay at this lovely and warm-felt house. Request a quote from Syringa Tree Cottage at no obligation. Accommodation with 4x4 trails in mind. Please contact the Syringa Tree Cottage to discuss your particular offroad requirements. Accommodation designed with wheelchairs in mind. Please contact the Syringa Tree Cottage to discuss any particular wheelchair requirements.